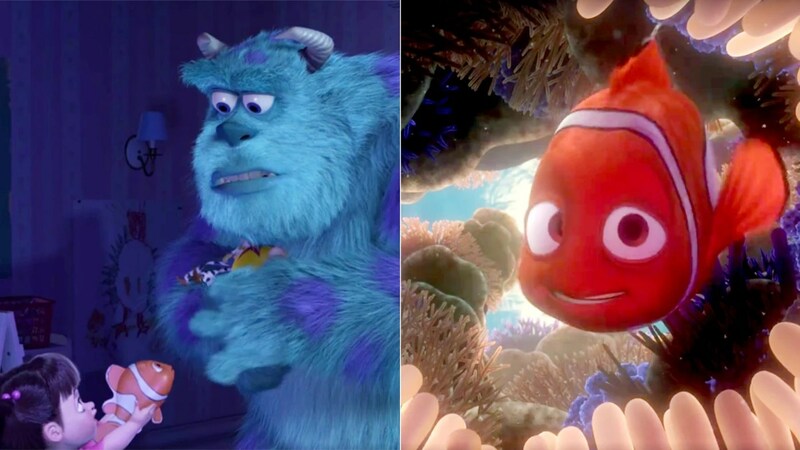 Eagle-eyed fans of Disney-Pixar’s animated films have long wondered if the characters in “Cars,” “Monsters, Inc.,” “Finding Nemo” and other beloved Pixar flicks all lived in the same cinematic universe. For example, a “Toy Story” Pizza Planet truck shows up in just about every film, as does the number A113. Now, Disney has pretty much confirmed the fan theory by dropping an epic video on the official “Toy Story” Facebook page, revealing exactly how all the films are connected. The two-and-a-half minute clip reveals both obvious and not-so-obvious Easter eggs in “Ratatouille,” Inside Out,” “Brave,” “Finding Dory” and more. PixarToyStory/FacebookA new Disney-Pixar video illustrates all the hidden (and not-so-hidden) Easter eggs linking the animated films together. But did you ever notice Sully’s likeness is carved into a piece of wood in “Brave”? And a motorbike from “Ratatouille” lies in a pile of debris in “Wall.E”? Or that Riley from “Inside Out” shows up among a group of kids at an aquarium in Pixar’s latest, 2016’s “Finding Dory”? Soon we’re seeing how “Brave” links back to “Cars,” and “Cars” to “Toy Story 3,” “Toy Story 3” to “Up” and on and on and on. Watch the video above to see all the exciting Easter eggs for yourself!